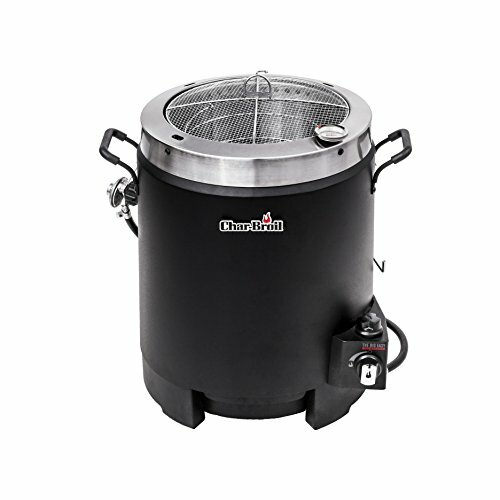 The Brinkmann Turkey Fryer is a top-quality turkey deep fryer. It runs on propane and is designed to deep fry turkeys outside. 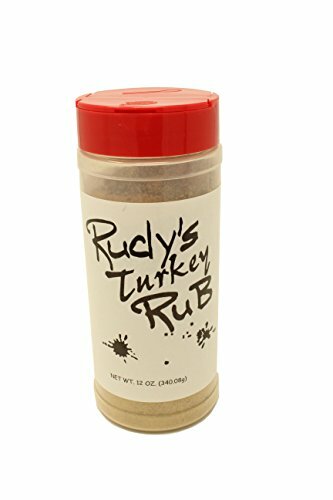 It’s capable of frying small to medium size turkeys of up to 18 pounds in under an hour. This makes it the perfect choice for a family gathering where you want to free up oven space and do some of the heavy lifting outside of the busy kitchen. 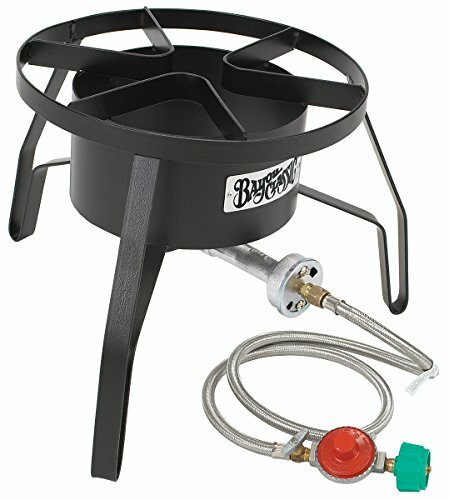 This kit includes a 30-quart pot as well as stand and hose attachment to hook up to a propane bottle. It also comes with a hook, seasoning injector, and thermometer to keep an eye on the oil temperature. In short, it’s everything you’ll need except the propane tank for deep frying your Thanksgiving turkey. What sets this turkey fryer apart from some of the others is that it has a temperature sensor which automatically shuts off the gas when it’s overheating to prevent burning or anything catching fire. Not that you should ever walk away from you machine when you’re frying a turkey, but life happens. With this one, it’s a bit more safe to do this than with some of the others. Assembly is not exactly quick and easy, although everyone eventually got it. Some reports of low-quality, especially of the stand. Not easy to light for some people. It worked well for a couple of uses, but then started to put out less heat than it should have. 45,000 BTU’s of power, less than the Bayou Classic Fryer for example. No drain valve makes for slightly more difficult clean-up. Pot is made of aluminum (cheaper, but not as high of quality as the stainless steel ones). No indicator lights on it, and you’ll have to rely on the included thermometer to make sure your oil is at the correct temperature. Will go out if you turn down the flame too quickly. Why Consider an Outdoor Deep Fryer? There are a number of reasons why you might want to consider deep frying your turkey this upcoming holiday. Here are just a few of them. First of all, I’m sorry that you may not have had the chance to enjoy deep fried turkey! I hope this changes for you in the near future. 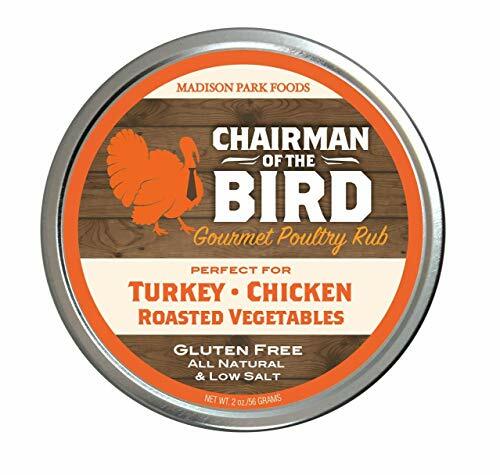 As you might imagine, it’s delicious and turkey from the oven will seem dry, and bland for the rest of your life. Seriously. It’s extra-crispy on the outside, but ultra-juicy on the inside, basically the perfect combination. Holidays feasts are busy in most houses around the world. You likely have a million things that you can want to cook in the oven—desserts, side dishes or roasted veggies. This can be a bit difficult to do when a big, old turkey is in there. Frying your turkey outside makes this problem go away! In general, you can deep fry a turkey in around a 1/4 the amount of time it’d take to cook it in the oven. If you don’t want to be a slave to your turkey all day, then consider deep frying it. Why not start a fun, new holiday tradition by deep frying your turkey this year, and for all the years to come? If you live in a warm place, you may not even want to turn on the oven in winter-time. Now, you don’t have to! 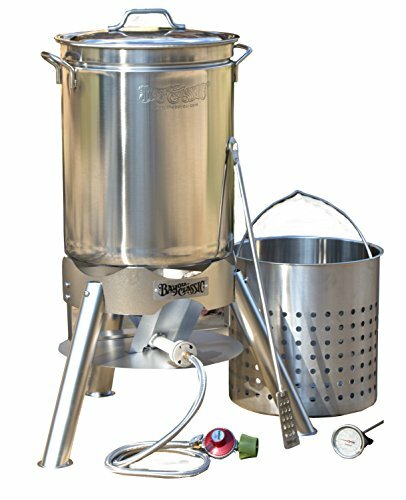 If you’re looking for an outdoor turkey fryer that runs on propane and uses oil, the Brinkmann Turkey Fryer is one of the top choices. It does indeed produce turkeys that are crispy on the outside and moist and delicious on the inside in under an hour. 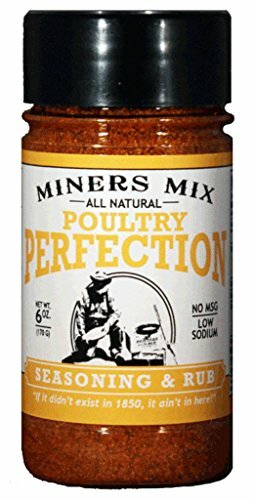 Besides just deep frying turkeys, it can do a whole lot more. You can dry chickens, seafoods or lots of other kinds of meat. 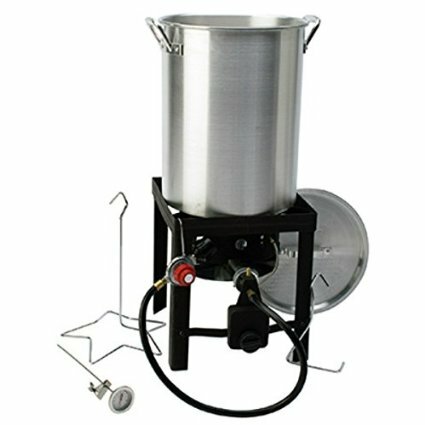 Or, perhaps you want to use it for home brewing? 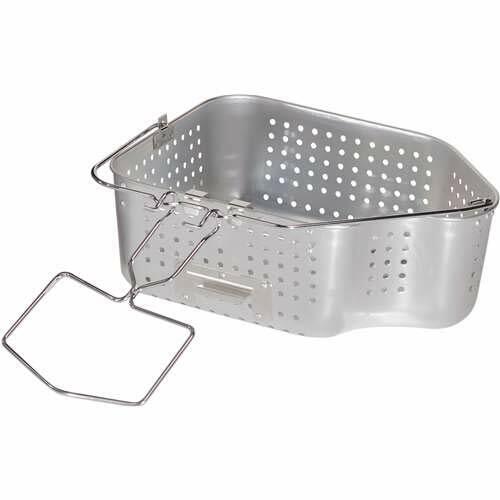 Whatever the case, you’ll find that the Brinkman turkey fryer is a nice choice. If you’re looking for a reasonably priced, complete set to fry a turkey, then the Brinkmann Turkey Fryer is for you. 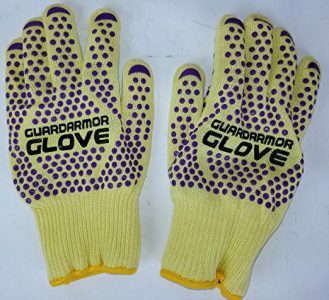 It has some great reviews, and most people that try it, really seem to love the result. 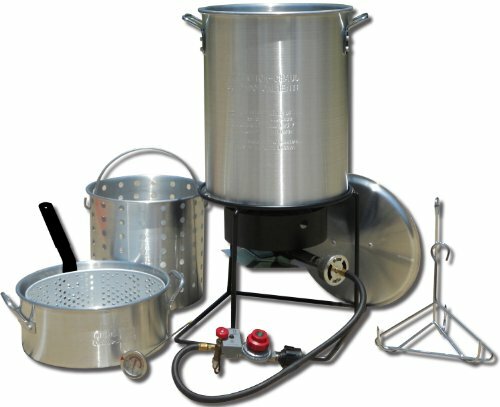 What about Indoor Deep Fryers? 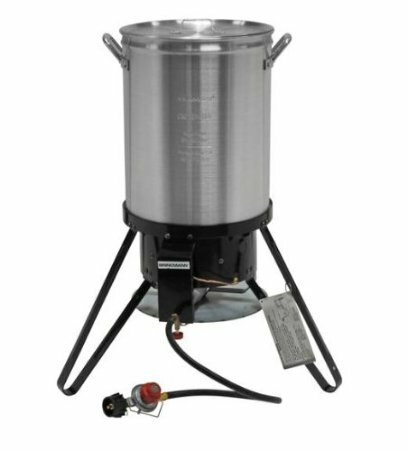 What are your thoughts about the Brinkman 30 quart turkey fryer? Leave a comment below and let us know. Also be sure to share this review on Facebook, Twitter, or Pinterest.